Somewhere in Pennsylvania, Bill Cosby probably let out a quiet “Das Racist” sigh when his sexual-assault-trial jury selection was completed. Cosby’s fate will now be in the hands of 10 white people and two black people once the trial starts June 5. Cosby’s attorneys contended that a majority-white jury would be biased against their client, since some of his alleged victims are white. The jury includes four white women, six white men, one black woman and one black man. The alternates include one black woman, one black man and four white men, according to CNN. Cosby has pleaded not guilty to three counts of felony aggravated assault, stemming from a 2004 case involving Andrea Constand, who at the time was an employee at his alma mater Temple University. 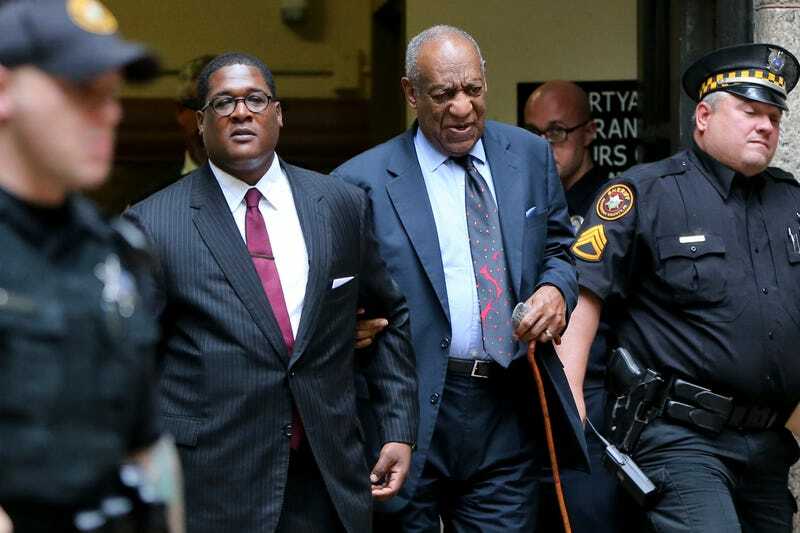 It’s said that Cosby will not take the stand in his own defense once the case starts, but Constand, along with another accuser, is set to testify. The jurors will now travel from Pittsburgh to suburban Philadelphia to be sequestered for Cosby’s trial, which is expected to last two weeks. After the jury was selected, Cosby gave a brief statement as he was leaving the courthouse Wednesday evening. “I just want to be very specific about the wonderful people [in] Allegheny County, and I also want to also thank the sheriff’s department, because they made everything very, very smooth here,” Cosby said.